A wonderful lady that I met at one of the screenings – Sally Block – sent me this story below about how intuition saved the world. That’s perhaps a bit of an overstatement, but it was a “gut feeling” that prevented an all out nuclear war between Russia and the US in 1983. Here’s the story, and thanks Sally for sending it to me! 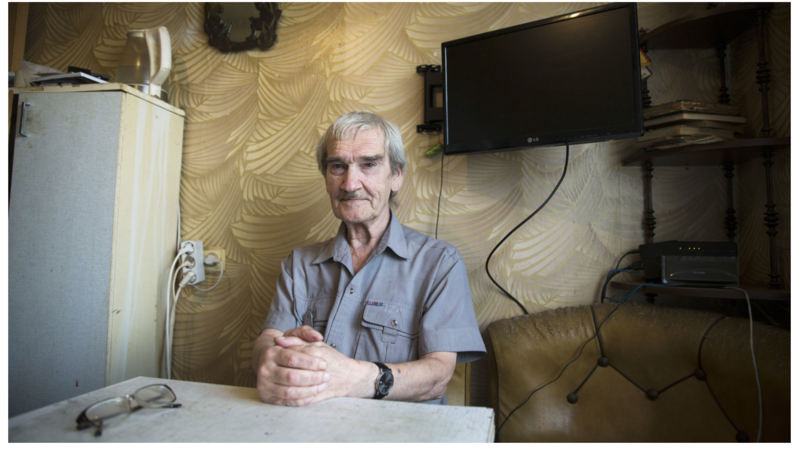 Stanislav Petrov was a lieutenant colonel in the Soviet Union’s Air Defense Forces, and his job was to monitor his country’s satellite system, which was looking for any possible nuclear weapons launches by the United States. He was on the overnight shift in the early morning hours of Sept. 26, 1983, when the computers sounded an alarm, indicating that the U.S. had launched five nuclear-armed intercontinental ballistic missiles. “The siren howled, but I just sat there for a few seconds, staring at the big, back-lit, red screen with the word ‘launch’ on it,” Petrov told the BBC in 2013. It was already a moment of extreme tension in the Cold War. On Sept. 1 of that year, the Soviet Union shot down a Korean Air Lines plane that had drifted into Soviet airspace, killing all 269 people on board, including a U.S. congressman. The episode led the U.S. and the Soviets to exchange warnings and threats. Petrov had to act quickly. U.S. missiles could reach the Soviet Union in just over 20 minutes. Petrov sensed something wasn’t adding up. He had been trained to expect an all-out nuclear assault from the U.S., so it seemed strange that the satellite system was detecting only a few missiles being launched. And the system itself was fairly new. He didn’t completely trust it. That episode and the 1962 Cuban Missile Crisis are considered to be the closest the U.S. and the Soviets came to a nuclear exchange. And while the Cuban Missile Crisis has been widely examined, Petrov’s actions have received much less attention. Petrov died on May 19, at age 77, in a suburb outside Moscow, according to news reports Monday. He had long since retired and was living alone. News of his death apparently went unrecognized at the time. Such a close call, eh?! This is an example of what I call “cognitive” intuition, which is intuition based on expert knowledge. He based his decision on his knowledge of the underlying system. Totally different from what I call “mystical” intuition, which is intuition that has no basis in rational thinking. But yes, it was a close call! So happy he was unable to move, and his cognitive intuition kicked in!